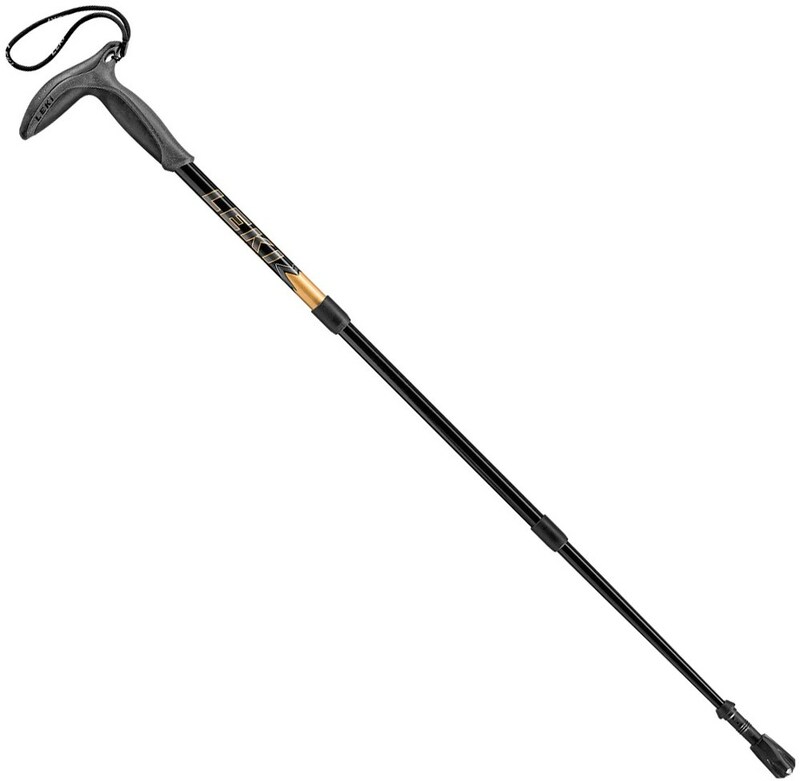 A sturdy lightweight staff that provides plenty of support for the backpacker who wants a hand free while hiking. When my much loved Leki Makalu Tour trekking poles finally wore out after years and miles of use, I thought I might prefer a different approach when replacing them. 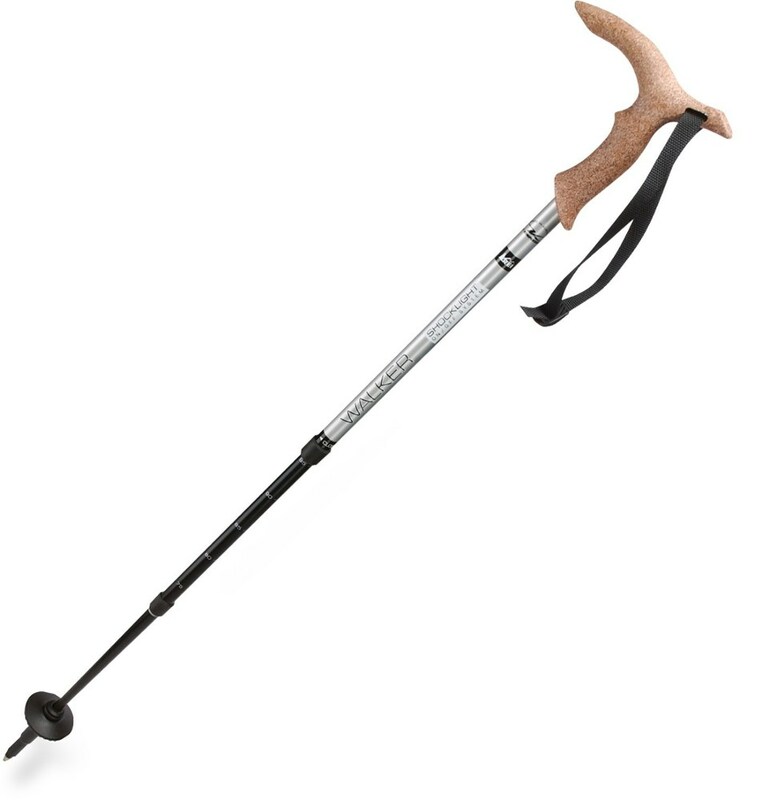 I decided after much consideration, to go with a hiking staff instead of trekking poles. I so far have not regretted my decision. 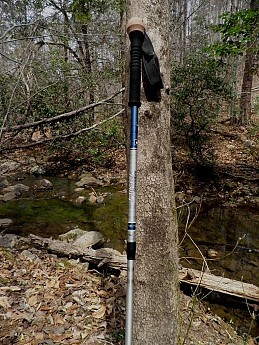 My one staff, while not super light at 10 ounces, is still lighter than two trekking poles (at least in the sub $100 range). Also, along with the lightweight advantage I have one hand free while hiking at all times. I have found that I am enjoying this freedom. 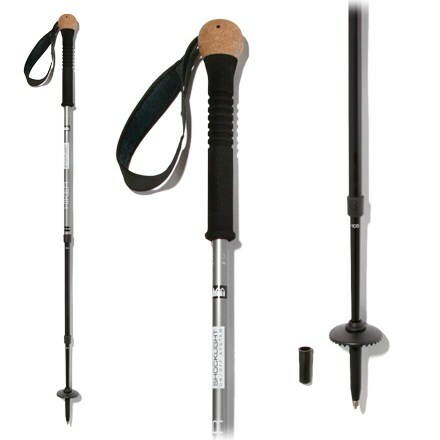 The poles are manufactured by Komperdell, a company with excellent product line of hiking poles. The handle is foam with a cork knob that houses the simple, yet excellent fitting strap. The foam grip is neutral to touch neither excessively cold or warm when handling even all day. Sweat is not absorbed in the foam. The strap is lined with a super soft material that does not chafe my hand at all. The shape of the strap fits my smallish to medium sized hands very well. The Shocklight staff has three sections maxes out at 57 inches long while packing down to a rather longish minimum of 29 inches. In terms of centimeters that is 145 maximum and 74 minimum. The staff also doubles as a monopod to steady your camera. 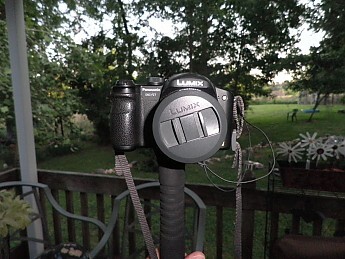 The monopod will support a small point and shoot up to the lighter weight DSLR type cameras. 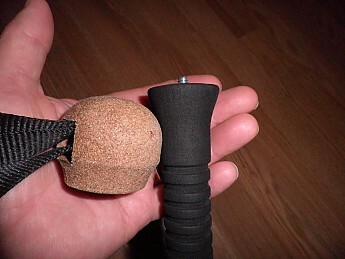 The cork knob can be removed along with the hand strap allowing the attachment of your camera. 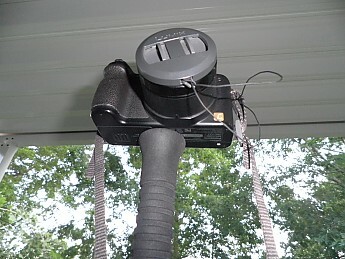 The camera can then be mounted on the staff for a sturdy monopod. 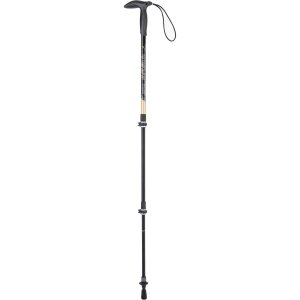 I have experienced that the shock suspension feature on the staff is well damped, and does help reduce fatigue compared to my Leki non-suspension poles. If you don't want the suspension active, you can twist the mid section of the pole and toggle betwee suspension on and suspension off. So, when I head out now, I am for the moment, sold on the single staff approach. I have not seen where I miss having two poles. 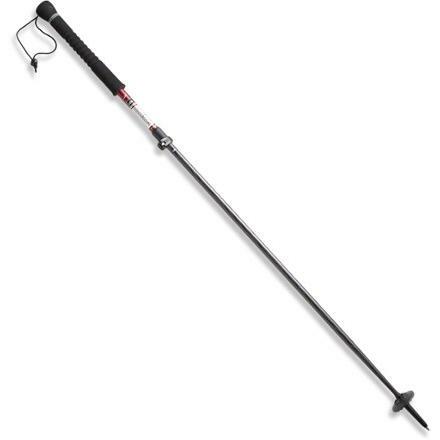 I am convinced that this staff will support me on my future hikes in practically all the same situations that my two trekking poles did with the omission of one of them! Just recently back from a 40-mile 4-day trip thru-hiking the Uwharrie Trail. I found this pole to be everything I expected. It worked perfectly providing solid comfortable gripping, adjustment held even when I vaulted over a few obstacles with a 30 lb pack. Good Gear! Hey, Joe! Can you indulge a curious reader and post some pics of the camera mount? I'm interested in how it works. I will be more than happy to add some illustration on the camera mount! I will have an edit done very soon. I appreciate you mentioning that.